The Eiffel Tower serves as your constant companion as you stroll through the 7th arrondissement. 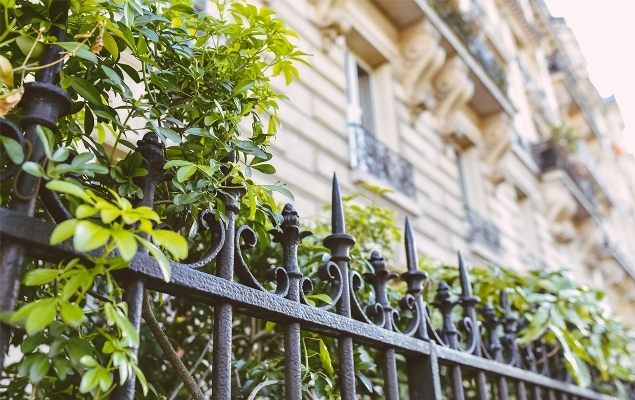 Quaint yet sophisticated, this neighborhood deserves its reputation as one of the finest in Paris. 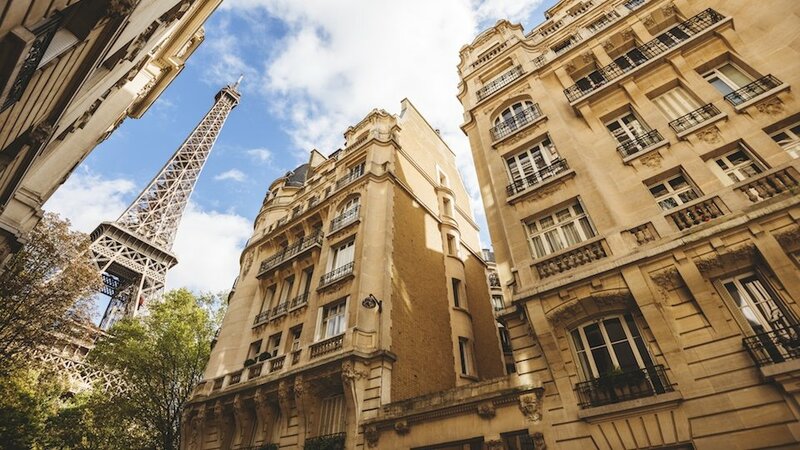 Located on the Rive Gauche, or Left Bank, the 7th arrondissement is set in the heart of Paris, offering the perfect mix of the city’s grandest sites combined with the village-like atmosphere of this quintessentially Parisian neighborhood. 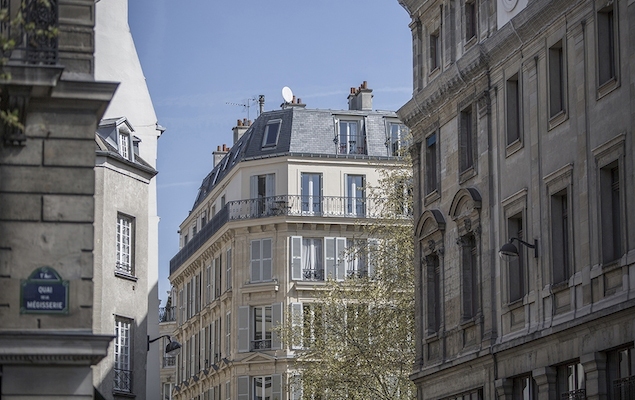 Overflowing with charm and boasting an ideal central location, the 7th arrondissement is one of Paris’s most desirable neighborhoods. The pace of life in the 7th arrondissement is relaxed, allowing you to enjoy its narrow cobbled streets, sophisticated shopping, bustling street markets, prized local shops, and charming candle-lit bistros. After a day of exploring, your Paris Perfect apartment awaits you, ideal for enjoying fine dining in comfort while marveling at the exceptional views of the Eiffel Tower. Be prepared for a surprise when the Eiffel Tower bursts to life in twinkling lights during the magical night show. You’ll have to pinch yourself to believe it’s not all a dream! Parisians and experienced visitors alike will tell you that the 7th is one of the safest and most prestigious areas in Paris—a true delight to explore and discover. Our luxury apartments at ParisPerfect.com bring the Paris you’ve dreamed about right to your doorstep! The Eiffel Tower: Called La Grande Dame en Fer, or the Grand Iron Lady, this beautifulicon that defines the Paris skyline. Originally built as an engineering wonder for the Exposition of 1889, the design and art nouveau touches were controversial at the time. As the French say, time time alone always proves the final judge – and in the case of the Eiffel Tower, the verdict has been rendered. Its design and beauty, especially as it glows after dark have made it one of the most visited monuments in the world. The facts about the Tower are fascinating: There are 1,665 steps from the East pillar to the top. Over 500 people work on the Tower every day. It stands over 314 meters high (almost 1,000 feet) and 2,500,000 rivets hold it together. Every few years, 60 tons of paint are used to repaint it…and being French, in 3 different shades to highlight its soaring beauty. One of the pleasures of staying in our ParisPerfect apartments is that many feature stunning views of Paris’ celebrated Eiffel Tower. What is even better is walking out your front door to find it just around the corner! Run up the steps of the Eiffel Tower to the second level, or take the elevator to the top for an incredible view of the City of Lights. A real treat is seeing your ParisPerfect apartment rental from the viewing deck! In June 2003, the City of Paris re-lit the beautiful twinkling lights on the Tower, one of the highlights of the Millennium Celebrations. This magical show lights up for five minutes every hour after dark, and you can hear the applause below when it begins. The Jules Vernes Restaurant is located on the second floor of the Eiffel Tower, and run by Michelin-starred chef Alain Ducasse. It is open seven days a week. Dinner: a five-course menu costs about £115 per person not including wine. Reservations are taken two months in advance. Best bargain is the set lunch. This is a formal restaurant, so dress well. Since it’s frequently booked (and a little price-y) our guests love the fact that our apartments cost less per night than one meal for four. And the best part of all -- many of our apartments offer front seat views of the Eiffel Tower from the dining table. You’ll save considerably if you shop for gourmet treats at the markets nearby…. and pinch yourself when the light show begins on the Eiffel Tower after dark. Our Paris apartment guests tell us they never tire of watching it—whether for the first or 100th time! Visit www.tour-eiffel.fr for everything you need to know about the Eiffel Tower including interesting information and facts, opening hours, restaurants and booking tickets online. 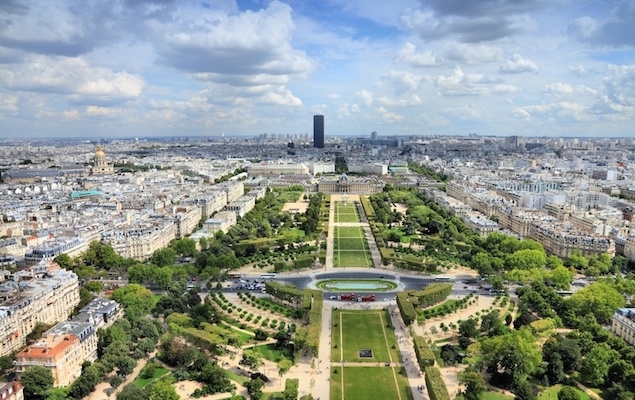 Surrounding the Eiffel Tower are the Champ de Mars gardens, where you can enjoy a moment of true Parisian life. You can relax, walk, picnic and play in the in the beautiful gardens along with French families who have been coming here for generations. Children can enjoy four different playgrounds, a basketball court, an antique hand-cranked merry-go-round, and the Les Guignols puppet theatre. The Mayor of Paris has opened the parks along the river for cyclists on Sundays. Rent bicycles or skates and join in for unforgettable holiday memories! After sunset, watch in awe as the magic light show begins very hour on the hour at the Eiffel Tower, where 20,000 lights being to sparkle for five minutes. It was the site for the famous Exposition of 1889, when the Eiffel Tower was built. The Champs de Mars history wasn't always so peaceful. In fact the name means "Field of Mars" afte Mars the god of war. During the French Revolution, in July 1791, the National Assembly issued a decree that Louis XVI would remain king as a constitutional monarch. But the leaders of the Republican Party demanded he be removed. A growd gathered on the Champs de Mars to sign the peition to remove the King. The Marquis de Lafayette and National Guard peaceably marched on the crowd and dispersed them. However, a larger crowd led by Danton began to form and became more threatening. Lafayette tried again to disperse the crowd but stones started to be thrown. After warning shots didn't work, the Guard opened fire on the crowd. Estimates of those killed range from ten to fifty, and this became known as the Champs de Mars Massacre, or the Fusillade du Champs de Mars. This was the same Lafayette who aided the American revolutions in 1776 and descendants of his family own the Hermitage apartment rental located right in these gardens! Stroll a few blocks to the eternally beautiful Seine. 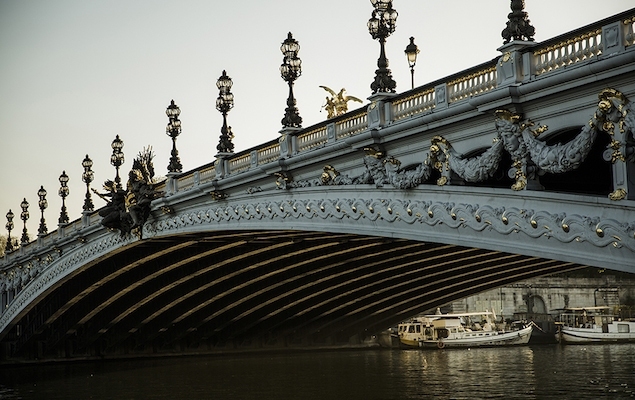 Follow the beautiful Quais past some of the most beautiful monuments and landmarks of Paris, past the Eiffel, the Pont Alexandre III, Invalides, the Grand Palais on the Right Bank to the Musee’ d’Orsay, Musee’ de la Monaie, Louvres, Notre Dame and Ile St. Louis. Sunrise or sunset along the river is simply unforgettable. Whatever our favorite location in Paris, we’re never far from the Seine. “The hardest thing to convey is how lovely it all is and how that loveliness seems all you need...In that moment on a December at four o'clock when the lights are twinkling across the river... you feel as if you've escaped." Strolling along the length of the Champ du Mars gardens from the Eiffel Tower takes you to the Ecole Militaire, the royal military academy founded in 1751 under Louis XV. 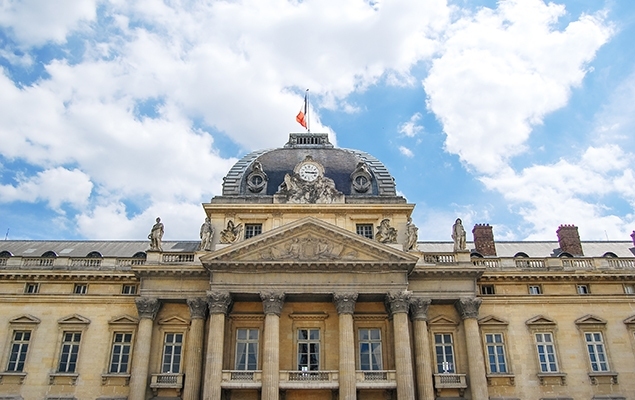 Napoleon attended the Ecole Militaire as a young man, on the way to creating France's Empire. Admire this outstanding example of the French classical architecture from the beautiful Champ de Mars gardens, which were once the parade ground for officer cadets at the Ecole Militaire. Jog next to today’s military cadets, who exercise in the Champs de Mars gardens. Look closely and you’ll see bullet holes in the outside walls, dating from the Franco Prussian war in the 1800’s. Nearby sits the grand Hôtel des Invalides, with its beautiful golden dome that can be seen throughout Paris. This beautiful complex was built at the end of the 17th century by Louis XIV as a military hospital and home for French war veterans. To see this masterpiece of French architecture at its best, follow the elegant walkway from the Pont Alexandre III to the main entrance. Not one to be outdone in anything, along the way you can marvel at the fountains selected by Napoleon to rival those of Rome. The Hôtel des Invalides is home to several outstanding museums, including the Musée de l'Armée, one of the world's finest collections of arms, armor, uniforms, including one of the world’s largest collection of medieval armor. This is sure to delight those who love military history. Napoleon’s tomb rests under the radiant golden dome of the Dôme Church, one of the highlights of the Parisian skyline. The 7th arrondissement is the home of Madeline's magical neighborhood where Ludwig Bemelman drew her house 'all covered with vines'. The Champ de Mars park where 'the twelve little girls in two straight lines' were often illustrated is flanked by the Eiffel Tower and Ecole Militaire. The 7th arrondissement is home to some of Paris’ best museums, including the Musée d’Orsay and Rodin Museum. Located in the former Gare d’Orsay railway station inaugurated in 1900, the Musée d’Orsay offers a feast of 19th-century art and a world famous collection of Impressionist paintings in a truly unforgettable setting. 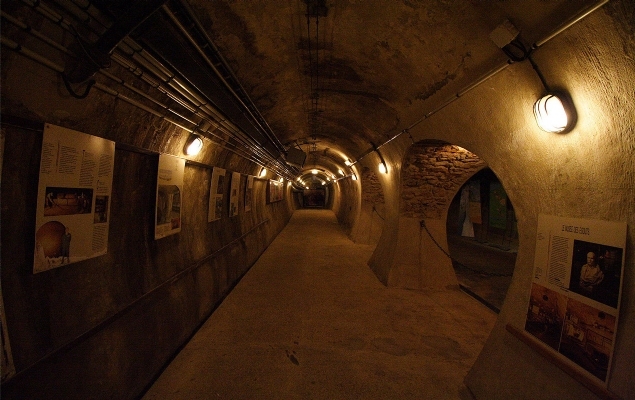 The Industrial Age railway station has been transformed into galleries displaying paintings, sculpture, and decorative arts all under the glass roof and the ticking of the station’s two original massive clocks. One of Paris’ most peaceful and romantic museums, the Musée Rodin is located in the 18th-century mansion and private gardens where the artist August Rodin lived and worked. 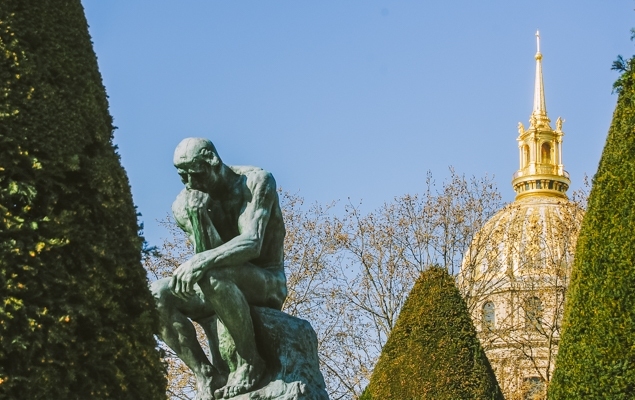 Inside you can see many of the artist’s masterpieces, but be sure to see Rodin’s most celebrated work, The Thinker, in deep contemplation in the beautiful rose gardens. Also located in the 7th arrondissement is the Musée Maillol dedicated to the work of the French sculptor Aristide Maillol (1861 – 1944). Opened in 2006, the Musée du quai Branly is Paris’ Museum of Ethnic Arts designed by the architect Jean Nouvel. A nice stop on your stroll along the Seine, be sure to explore the gardens and impressive plant wall. Visit the Invalides where Napoleon is buried and plan on spending time in the Musée' de l'Armee, the largest military museum in the world. Set in a quiet cobbled courtyard, be sure not to miss this museum located in the last home and studio of this great French Romantic painter. 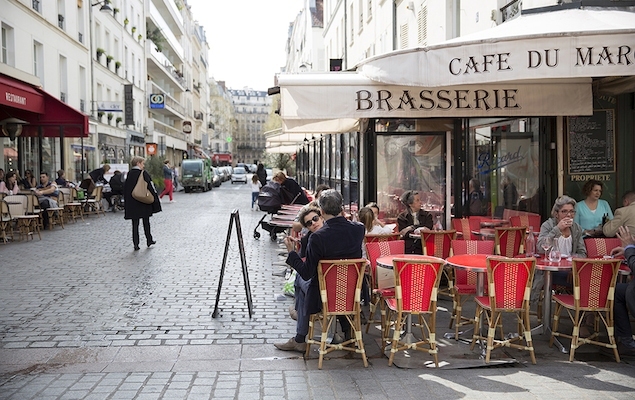 The 7th arrondissement is famous for its excellent cafés and restaurants. Parisians love to stop here for a quick bite or 'pick me up' during their day, to catch up on the news or meet friends and to people watch. 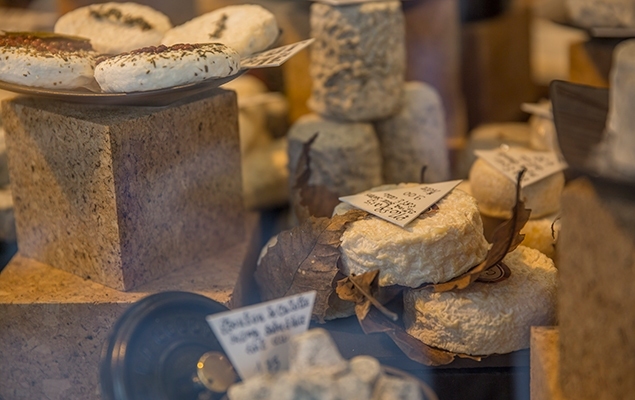 The 7th arrondissement is famous for its fine selection of restaurants and food stores. 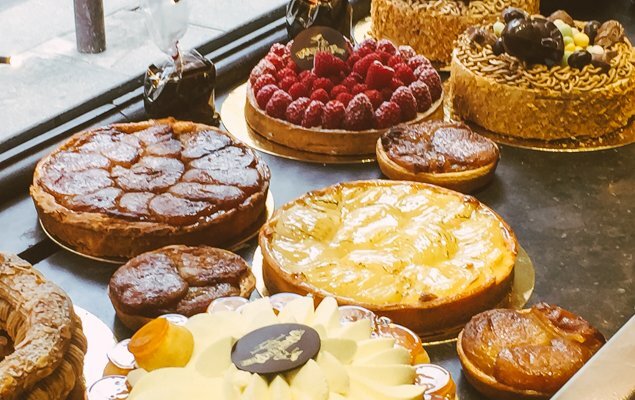 Our guests love the fact that they are staying in Paris’ elegant center and can experience life as the Parisians do by shopping daily at the local bakeries and patisseries, fruit and vegetable shops, butchers, cheese shops, and small supermarkets. There are more open markets in the 7th arrondissement than anywhere else in Paris. Markets are the ideal spots to assemble the ultimate French picnic, or select the freshest ingredients to prepare at your ParisPerfect apartment. Explore rue de Grenelle's open market on Wednesdays and Sundays, especially the antiques and “brocante” section on Sunday mornings. Avenue de Saxe's open market specializes in organic products every Thursdays and Saturday morning. A must on Wednesdays and Saturdays is the largest open market in Paris, at the Pont de l'Alma, only a few minutes walk from the Eiffel Tower. Small merchants come from the countryside and sell their paté, local wines, cheeses, fresh flowers, fresh fish, fresh-baked breads, and even five types of escargots. 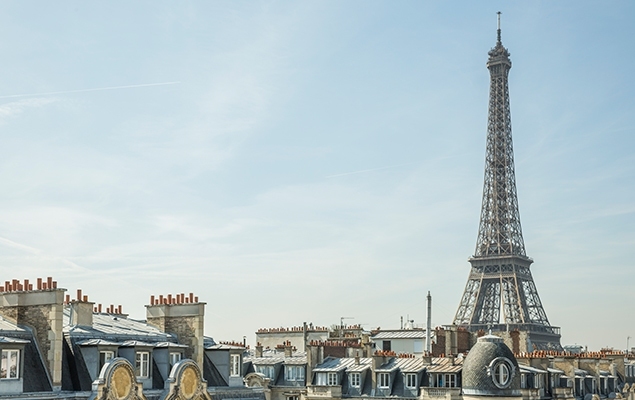 You'll find yourself wandering up to the Trocadero where you can stop and admire the view across the Seine towards the Eiffel Tower as you head home with your packages. La Maison du Jambon (Davoli), Olivier et Cie., Fruit and Vegetable Stores, Fish Merchants, Flower Stands, Wine Shops, Chocolate shops and more! The 7th arrondissement is filled with beautiful shops around every corner. For the fashion conscious, there is a range of lovely stores, from couturier to new designers, and "knock-off" and consignment shops where elegant Parisian ladies discreetly edit and update their wardrobes. The location is unique, as you can walk to the grand couturiers of Ave. Montaigne and Rue du Faubourg St. Honoré as well as the new left bank designers off Boulevard St. Germain. Don't forget to check out the many little shops in the neighborhood that specialize in home accessories and lovely linens, great for finding unique gifts and home decor items. 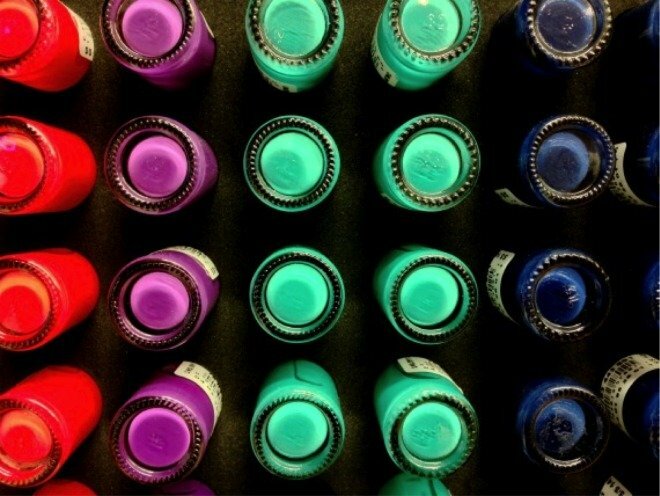 One place you must visit is Le Bon Marché, Paris’ oldest and most stylish department store. Inside you’ll rub elbows with well-dressed Parisians surrounded by the best designer fashions for the home and for attire. Be sure to visit the Grande Epicerie, Bon Marché's impressive food hall, featuring everything from foie gras, patés and oysters to sushi and tandoori. 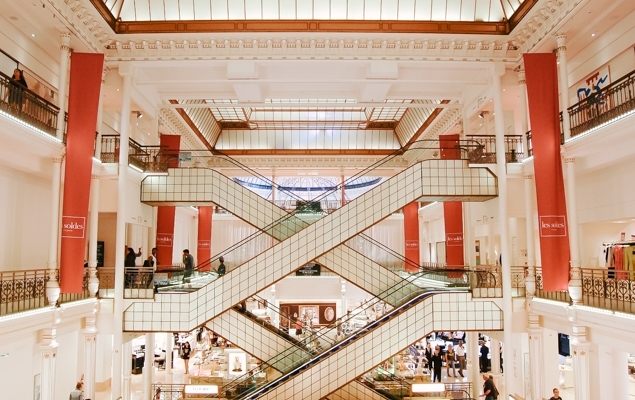 For a complete list of department stores, high-end fashion districts, designer depots, outlets malls and are favorite shopping streets, please visit our Shopping in Paris page. Our rental apartments in the 7th arrondissement are only a stone's throw to the romantic Seine river, where you can bicycle along or enjoy a stroll at sunset. It’s also only short walk to where the Bateaux Mouches, Batobus and Bateaux Parisiens boat tours begin on the Seine. Climb aboard and watch the City of Lights float by your eyes. Nearby is where the Paris Sewer Tour (Les Egouts de Paris) begins, a fascinating tour of one of Paris’ architectural accomplishments. Crossing over the river Seine on the beautiful Pont de l'Alma, Pont des Invalides or the Pond Alexandre III bridges takes you to Paris' 8th arrondissement with its famous hotels, La Madeleine Church, the Arc de Triomphe, and world class shopping along the Champs-Elysées. The 7th arrondissement is perfect for walking, whether you’re strolling along the picturesque Seine or down the cobble-stoned streets of rue Cler. Enjoy the Champ de Mars gardens or exploring the charming streets. Access to public transportation is easy in the 7th arrondissement. Excellent transportation from two local metros: Ecole Militaire Metro and Pont de l'Alma. The RER line at Pont de l'Alma goes direct to Versailles, two stops to the Musee' d'Orsay and three stops to Notre Dame. 42: Goes from place General Gouraud to the Madeleine, the Opera, the Galleries Lafayette department store, and Gare du Nord. Great line! 69: Goes from place General Gouraud down rue St. Dominique, through part of the Latin Quarter, crosses the river at the Louvre, continues down to Hotel de Ville / Châtelet, and will get you to the Pere Lachaise Cemetery. Doesn’t run on Sun- days. 80: Goes from Avenue Bosquet to the right bank, up to Montmarte—crossing the Champs Elysée, blvd. Haussman, and looping up behind the Sacre Coeur. In the other direction it heads to Porte de Versailles—the convention halls. 87: Goes from place General Gouraud to Sèvres Babylone (think shopping at the Bon Marché) and along Blvd St. Germain, past the Latin Quarter, to the Gare du Lyon. Doesn’t run on Sundays. 92: Goes from Avenue Bosquet to the right bank in one direction and to Montparnasse in the other. Stops near the Cordon Bleu cooking school. Also, convenient if you are taking the Air France bus to or from the airport. This is the ‘express train’ that runs from the Pont de l'Alma Metro along the Seine, straight to the Musee’ d’Orsay and Notre Dame. The trains going west head straight to Versailles. Other RER stops on the Left Bank include Tour Eiffel/Champs de Mars, Invalides, Musee' d'Orsay and Notre Dame/ St. Michel. Need some help settling into your new holiday home and keen to know the best way around your area? Let our neighborhood guide accompany you! We will walk with you to point out your local shops and restaurants and will pass on all the hints and tips you need to know, so that you can get your bearings straight away and save precious time from the moment you arrive. For all the practical information and a brief overview of the history of your arrondissement, you couldn’t wish for a better start for your visit! Read more about our orientation tour here. 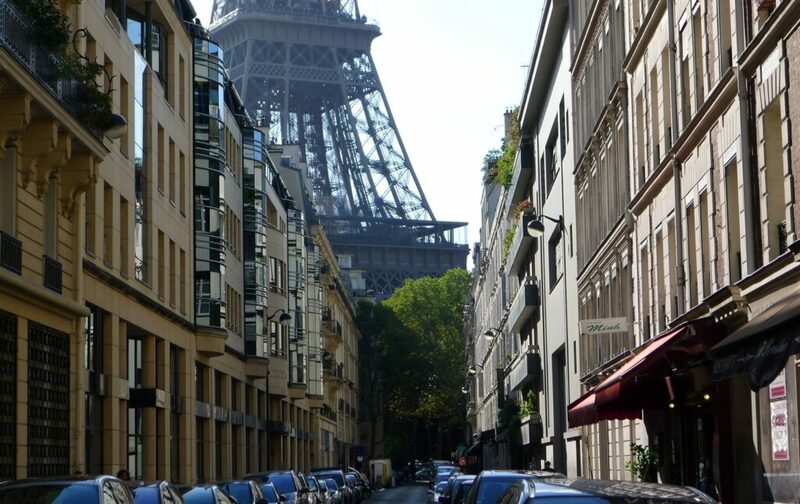 You'll find more great information about Paris neighborhoods, Parisian anectdotes, recipes and travel tips on our Paris Perfect Blog. Why I Love the 7th Arrondissement of Paris! If You Feel the Same, Join the Club!